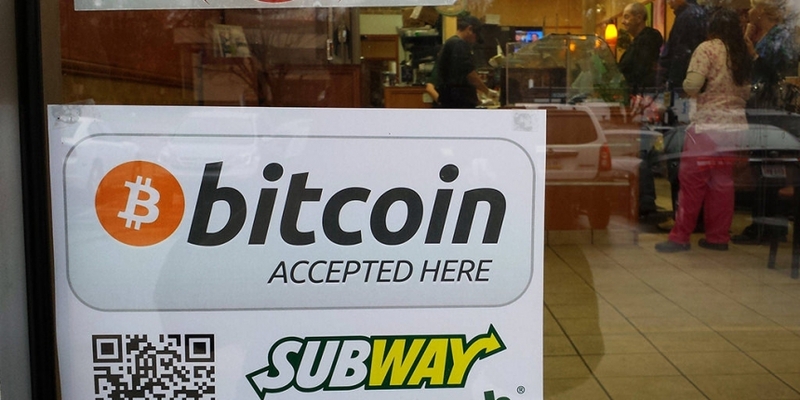 Another Subway sandwich shop is now accepting payment by bitcoin. The shop, in Allentown, Pennslyvania in the US, is the second bitcoin-accepting Subway to come to light after an outlet in Moscow was found to be offering a 10% discount to bitcoiners. Hints that the shop accepted bitcoin first emerged in a photo of a shop window bitcoin advert for the shop on 8th November. Sceptical Redditors questioned whether the photo was legit: “Anyone could have taped the sign to the window,” wrote one. Two days later, on 10th November, video proof was posted by redditor xzclusiv3, showing a purchase being made with bitcoin at the store. The purchase wasn’t entirely seamless, with commenters on the video noting that the video begins in the daytime and ends after dark, suggesting that the purchase took longer than your average credit card payment. “The guy [at the register] wasn’t the owner and never did this before. That and we didn’t know what exchange to base the price off of [sic],” wrote xclusive3, explaining the difficulties with the payment. Few have so far taken up the opportunity to pay with bitcoin at the Subway in question. The bitcoin address in the shop window advert had received a total of 0.018 BTC, or around $6, at the time of writing. The payment made in the video is therefore likely the first and only so far. Subway sandwich shops are run as franchises, like many other fast-food businesses, meaning that the decision to accept bitcoin payments will have been made by the local owner, rather than the Subway corporation itself. Photos of a bitcoin-accepting Subway in Moscow surfaced online as early as August, suggesting the Allentown franchise is not the first Subway to accept the digital currency. As more and more business owners become aware of digital currency, corporations that run a franchise model may have eventually have to address the question of whether to embrace bitcoin payments. Until then, Allentown and Moscow are two unlikely bitcoin sister cities.